Like all liquid-borne contaminants, it’s hard to identify if it has seeped into places you can’t see or don’t even know about. That’s why it is so essential to call the Professionals. Call the CRM Services PROS right away when disaster strikes YOUR property. It is critical to begin the sewage cleanup as soon as possible. Our professionals will be there usually within one hour of your call depending on your location and the scope of services needed to address your situation. 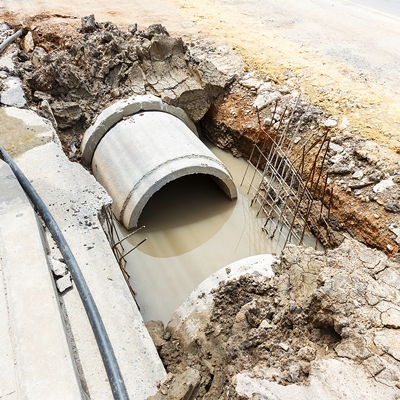 Sewage is one of the most dangerous substances that can enter homes and buildings. 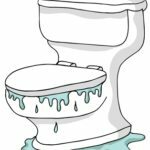 Unfortunately, people often don’t understand the hazards that sewage creates, particularly for small children, the elderly and those with immune system or respiratory problems. Sewage is often referred to as “black” water. It is grossly unsanitary, carrying the expected urine and feces. But it may also contain dangerous chemicals or medical wastes. Toilet backflows that originate from beyond the trap are considered Category 3 (black) water losses, even if the water does not appear to be grossly contaminated. Homeowners or Facilities Maintenance personnel must be careful to avoid skin contact or inhalation of the fumes from Category 3 water. Proper Personal Protective Equipment (PPE) is essential when dealing with this type of loss. Professionals, such as those at CRM who follow the standards in the IICRC S500 Standard & Reference Guide for Professional Water Damage Restoration, should be called to deal with losses such as this. Failure to follow these guidelines can result in severe or chronic illness for anyone who returns to a building that is inadequately restored. A perfect example of not following these guidelines is if a restorer tells you that the carpet can be saved. Not true. Any porous material that has been affected by sewage must be disposed of properly. Only the trained professional should handle these procedures due to the health risk involved. Category 3 water damage also results from sea, lake or river water entering your home or business over the ground. This has silt and may have other contaminants, including microorganisms, bacteria, fungi, pesticides, animal and insect feces and other contaminants from the soil. This type of loss is treated like a sewage loss using the protocol for a Category 3 water loss. Don’t take chances. Call the CRM Services Restoration PROS 23/7/365 for a Free, No-Obligation, No-Hassle Estimate at 678-540-8606… or click on the LIVE CHAT button in the corner of this page for 24/7/365 assistance.